Industry news, HVAC tips, inspiration. Guest Blogs Things to Know! This post was written by guest blogger Molly Chen of Winters Home Services. What’s wrong with my A/C? If you came here, you might be asking this question because your A/C won’t turn off, the air isn’t cold enough, or the airflow seems weak. Unlike most heating systems, air conditioners have more complex mechanical systems that demand a wide variety of parts working correctly. Central air conditioners are designed to meet a certain “load” on the house and need a certain amount of refrigerant or freon to work. They also need good air flow across the coils. Should any of these things go wrong, the system will not work properly. Here are 4 major issues that can go wrong in an A/C and a few solutions for each. Since air conditioners are more complicated and problems might not be easily resolved, we strongly recommend homeowners call a professional. Sometimes the air handler seems to be working fine, but the air coming out of the vent is weak. Solutions: a dirty air filter can block return airflow, preventing the A/C from supplying air to your home. Some systems have two air filters, one at a return grille and one at the air handler inside. So check your air filters, and also check the vents to make sure they are open. Sometimes, homeowners close vents and registers in unused rooms to save money, but this can cause problems. Lastly, be sure to remove any furniture or curtains that are blocking the registers. The thermostat shows that the unit is on, but it’s blowing warm air instead of cold. Most of the time, this means your system is low on refrigerant, which is more commonly known as freon (which was actually a brand name for a refrigerant that was banned years ago!). Solutions: Be sure that your air filter has been changed. Sometimes all it takes is a dirty air filter to cause this issue. Also, check your outside unit to make sure it’s not dirty. Why? When a condenser (the outside unit) has dirty coils, it has a hard time releasing heat since the dirt is insulating the coils from releasing heat to the outside air. Cleaning the coils is easy. You can do it yourself or call an HVAC contractor. To clean it yourself, stop by your local Home Depot or Lowes for a coil cleaner, wear gloves, and follow the instructions on the cleaner. Be sure to turn your outside unit’s power off! When you’re done, turn the system back on and voila! You have a clean condenser. Or you can call an HVAC professional, which is probably the best option, because they can check your unit for any other problems. And if it’s the most common problem – lack of freon – only an HVAC professional can check that. A lot of people automatically turn to the solution of adding freon, but there are actually multiple causes. When was the last time you had your evaporator coil cleaned? When was the last time you had your air filters changed? We recommend homeowners change the A/C air filter every month during the summer. When was the last time you had the system “charged”? Is there about 17 degrees difference between the supply air and the cold air coming out of the vents? If so, this is normal because it’s so hot outside that your system can’t keep the temperature up. Sometimes, all it takes it a properly-sealed door and window. Set your thermostat a few degrees higher. Is your system is undersized? Bottom line is, there are a lot of factors that could be the cause of this issue. 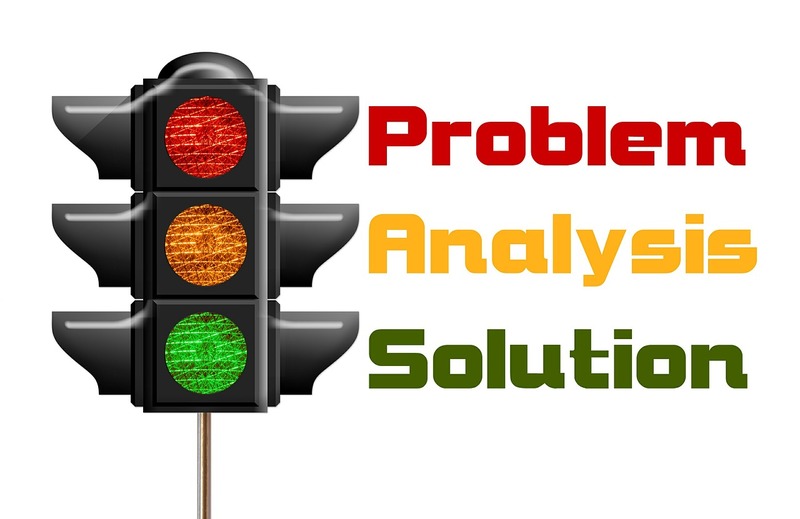 The best thing to do is have a professional run diagnostics and determine the real cause. Sometimes homeowners can detect the refrigerant leak themselves. Most of the time, you need a professional to test it, usually with an electronic leak detector and various leak detection mixtures. But what causes the leak? Bad installation: it is so important to have a good technician installing your system. Incomplete brazing can lead to slow leaks that will happen 5 years after the installation. So don’t always go by the cheapest company, go by the BEST company with great craftsmanship, great reviews and a warranty. Acid: the type of acid called “formic” is a naturally occurring acid that comes from the ground and etches the copper coil, causing microscopic cracks in the copper. Solutions: apply a leak seal treatment or replace the leaky component if the product is under warranty. However, sometimes an empty system might hold hidden damages and will require more than a simple recharge. Most of the time, if the compressor is dead, a repair will not do it justice. See our article on “4 Signs Your Central AC system is Failing” to determine your investment. This blog was written by Molly Chen of Winters Home Services in Cambridge, MA. For more, visit their website or blog, or follow them on Twitter! “The CRT Tipster” is an HVAC tips and news blog owned by Controlled Release Technologies, Inc. We are a chemical manufacturing company in Shelby, NC, that creates products for HVAC maintenance and more! Find us at cleanac.com, or call us toll free at 800-766-9057. A contractor cleans coils with our Powder Keg Coil Cleaner. Want to know more about coil cleaning? Why do A/C coils need to be cleaned? Is washing them off enough? Arista Air explains why it’s important, how it benefits you, and why you shouldn’t just send in the janitor to clean your coils. All this month, we’re talking about air conditioning coils, tips and info on how your air handler can benefit from cleaner coils. Stay tuned for more, and don’t forget – we want to hear YOUR coil cleaning questions. If you’re a contractor, tell us how you clean coils and what problems you’ve seen with A/C coils while on the job. What tips do you have, and do you use a coil cleaner or do you pressure wash? Business Survival and Sustainability Things to Know! 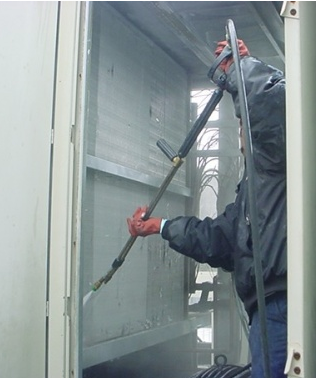 We also love their advice on how to clean HVAC coils: don’t use pressure washers! Why? They can damage the fins on the coil, which can cause you to spend more money to repair them. This month, we’re talking about air conditioning coils, tips and info on how your HVAC can benefit from cleaner coils: more energy efficiency, better air quality and more! Stay tuned for more, and don’t forget – we want to hear YOUR coil cleaning questions and advice. Tell us how YOU clean coils and what problems you’ve seen with A/C coils. Share in the comments below or via email: social@cleanac.com. Product Spotlight Things to Know! This month, we’re talking A/C coils. Or as Morris-Jenkins calls them, air conditioning teeth! We’ve got tips and info galore on how your A/C can benefit from clean coils. What do we have for contractors? For starters, share these tips with your customers! Tell them how clean coils can make their home and business better, cooler and more energy efficient. We’ll also have a post soon on the best ways to clean coils. AND we’ll be sharing an infographic on these benefits soon! Stay tuned! Don’t forget to ask us your coil cleaning questions in the comments or via email: social@cleanac.com. Photo license: Creative Commons CC0. If you’ve ever asked a customer, “Do you want a lower energy bill and better air quality?” you know the answer to both is, “Yes! !” Customers want to save money on utility bills and they want the best, cleanest and coolest air for their businesses, homes and families. They make your HVAC unit last longer. They improve airflow and air quality. They cut back on energy costs. It sure is nice to have a little extra money in your pocket. And not only that, clean coils can prevent a unit from freezing up, a problem that could shut down your cool air for a while and cost you money in repairs. What are other downsides of dirty coils? To prevent these problems, be sure to get your coils cleaned once a year or every six months. In really nasty environments with lots of dirt and grease, they might need cleaning more often. The best thing is to ask an HVAC professional, and sign up for a regular maintenance program. That way you won’t forget and your air will stay cool and clean. For all our contractor friends, cleaning coils isn’t a tough job. We make a product that does most of the work for you. Powder Kegs are a powdered coil cleaner we make that is much cheaper than other coil cleaners on the market. Just mix it with water in a pump sprayer, spray it on your coils and then rinse off. Keep in mind, you can add value for your customer by adding coil cleaning to your maintenance programs, if you haven’t already. It’ll keep your client happy, help them save money, and protect their coils from a potential mess. It’s just one more way for your business to grow and help your customers stay cool at the same time! Business Survival and Sustainability Technically Speaking Things to Know! “A clean coil is a happy coil!” according to the ACHR news, which published this very informative article on how to clean A/C coils. Clean coils also extend the life of the HVAC unit AND make it more efficient. Check it out! One important thing the ACHR says: you shouldn’t use high-pressure washers, because they can bend the coil fins. We hear a lot of people in the industry do clean coils with pressure washers. Do you? What are your best tips for cleaning coils? What problems do you run into on the job? We’ll be doing an article soon on the benefits of coil cleaning and the best ways to clean a coil, and we want to hear your input! Click in that box below and comment! Or send us a quick email at social@cleanac.com. We’re also on Twitter: @cleanac. Thank you! Like us for news, tips, cool info!